San Francisco is a unique location with many different areas including; SoMa, Chinatown, Japantown, Castro and the Mission district. When visiting San Francisco the possibilities are endless, from visiting a museum to taking a trip up the San Francisco peaks, visiting this mountain range is one of the unique opportunities that San Francisco has to offer. The city has offers great opportunities to shop while boasting popular attractions such as; The Golden Gate Bridge, Lombard Street, Chinatown, Coit Tower, Transamerica Pyramid, Fisherman’s Wharf, Alamo Square, City Hall, The Palace of Fine Arts, Union Square, Alcatraz, The Golden Gate Park, Mission Dolores, Pier 39 and the cable cars which have become a very popular attraction while also providing a fast and reliable method of travel around the city. The charming Adante Hotel enjoys a fantastic central location, just a few steps away from famous Union Square with its upscale shopping facilities and surrounded by restaurants and bars. It is within a short stroll from attractions such as the Civic Center,..
Property Location With a stay at Motel Capri in San Francisco (Marina District), you'll be minutes from Mexican Museum and close to Lombard Street. This hotel is close to Palace of Fine Arts and Fisherman's Wharf. Rooms Make yourself at home in..
Property Location You'll be centrally located in San Francisco with a stay at Presidio Inn, steps from Presidio Theater and close to Palace of Fine Arts. 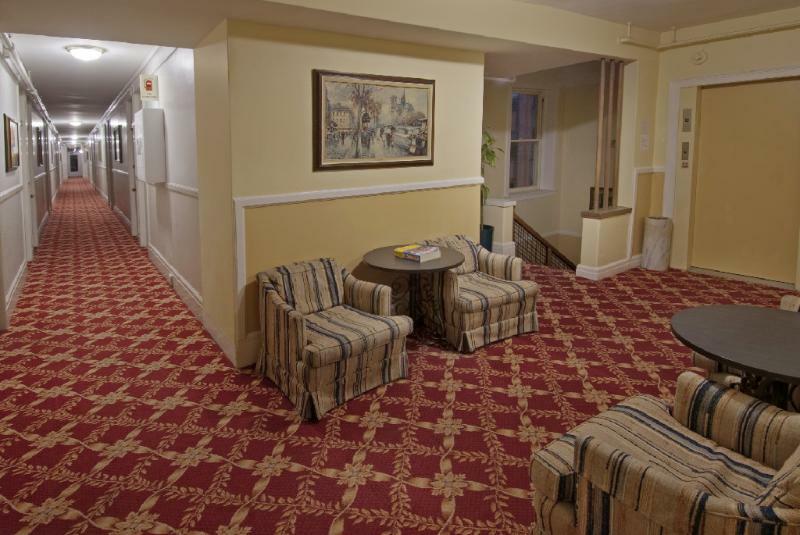 This inn is close to Lombard Street and University of San Francisco. Rooms Make yourself at home.. Enjoy quality and comfort at a gentle price. Located in the heart of San Francisco, the Rodeway Inn-Civic Center is within walking distance, or a short drive, of the most famous attractions in San Francisco. These attractions include, Fisherman's Wharf,..
Property Location With a stay at Rodeway Inn Downtown in San Francisco (South of Market), you'll be minutes from Orpheum Theater and Louise Davies Symphony Hall. This hotel is close to Union Square and Lombard Street. Rooms Make yourself at home in one..
Property Location With a stay at Winsor Hotel in San Francisco (Downtown San Francisco), you'll be minutes from Warfield Theater and Westfield San Francisco Center Shopping Mall. This hotel is close to Union Square and Lombard Street. Rooms Make yourself.. This budget-friendly hotel is easily accessible to all major public transportation including BART and Muni bus/metro stations. Aida Plaza Hotel is within walking distance to major tourist attractions including Moscone Convention Center, San Francisco.. The Hotel Aida Plaza is a charming property conveniently located in downtown San Francisco, close to many of the city's major tourist attractions. Situated on Market Street (cross street is 7th St.) near the Civic Center. The Aida Plaza hotel is a historic..
Property Location A stay at Alexis Park Hotel places you in the heart of San Francisco, walking distance from Asian Art Museum of San Francisco and California State Building. This hotel is close to Union Square and Lombard Street. Rooms Make yourself..
A popular tourist attraction is Alcatraz, the former military fort and famous maximum-security federal prison that harboured the likes of Al Capone, as a tourist to you get to see what life was like on Alcatraz Island. Visitors can also view the gardens,..